See how you can create better designs, reduce errors and build a more efficient development cycle with the enhanced features of Autodesk Vault 2019. 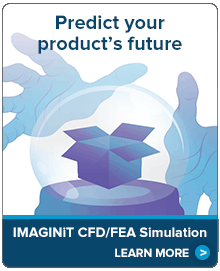 Welcome to the Profiting from PLM Executive Video Series presented by IMAGINiT’s manufacturing solution experts. This video highlights the biggest new product introduction (NPI) process challenges and dives into how manufacturers can better manage the major elements of an NPI process. During this webcast, IMAGINiT expert Wyatt Schurkamp explored AutoCAD Plant 3D and why manufacturers should take advantage of these new plant design toolsets today. Are you maximizing your team’s productivity with Autodesk’s Product Design and Manufacturing Collection? You may be surprised to learn about the top 5 tools that can help you master your engineering data. During this webcast, IMAGINiT expert Rusty Belcher explored the conventional ways Reality Capture is being for used for manufacturing and how it allows you to increase efficiency and ROI by decreasing project time. What are the top 3 user pitfalls when migrating data from AutoCAD to Inventor? Inventor and AutoCAD have different tools, terminology, and workflows, which can make the migration a challenge. Watch this video to discover the top 3 pitfalls to avoid to ensure a smooth transition. Manufacturing organizations are under competitive pressure to decrease project lead times and increase throughput, while maintaining quality. But process bottlenecks plague the best efforts to improve efficiencies. Design automation can eliminate redundant and error prone processes. Watch this video to find out how to structure your design automation planning and implementation team. Watch this video to discover how manufacturers can embrace and benefit from reality capture technologies. By far, the largest repository of free 3D model content is the SketchUP 3D Warehouse. There are millions of 3D models available but we have never been able to use them in Autodesk Inventor, until now. In this Tech Tip we will demonstrate the process of translating a SketchUP model and use it in Autodesk Inventor. Watch this video and discover the advantages of using Product Lifecycle Management (PLM) to manage training records. 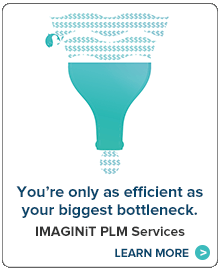 IMAGINiT’s experts have helped numerous firms across North America take advantage of PLM to improve business outcomes.